This is the story about an unplanned game. 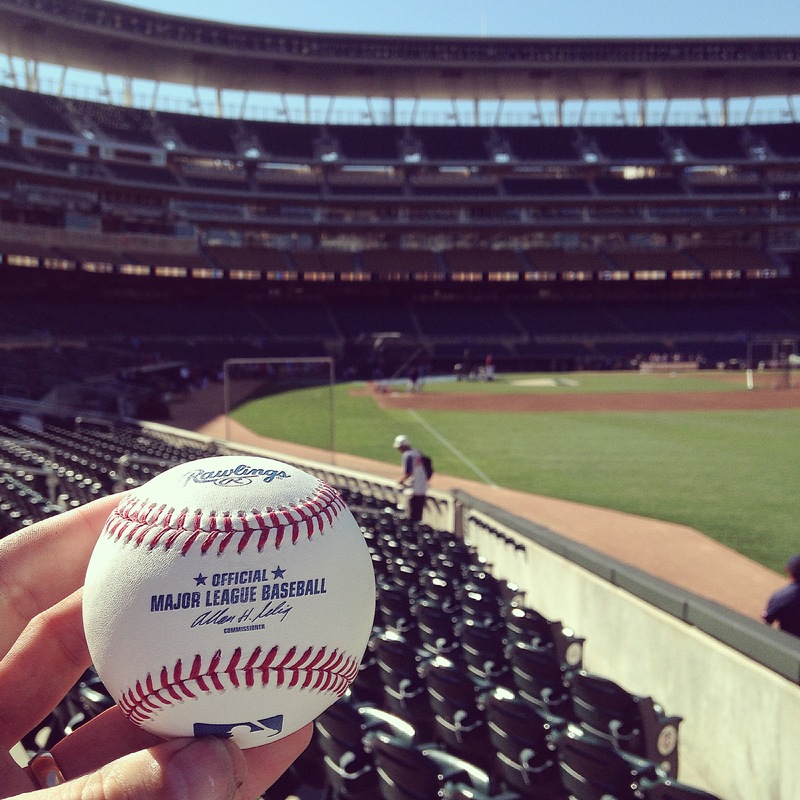 Congrats @VotePlouffe I have 2 tickets for tonight’s #MNTwins game at Will Call. Give me a call to confirm!! So that’s how that happened. I won a couple of tickets last minute for a bobblehead game. Long lines, tons of kids, and a late start – surely this spelled certain doom. Oh, add to that the “cardinal sin” that I alluded to… I didn’t have a glove packed and was in the work attire (dress shirt, jeans, and dress shoes). 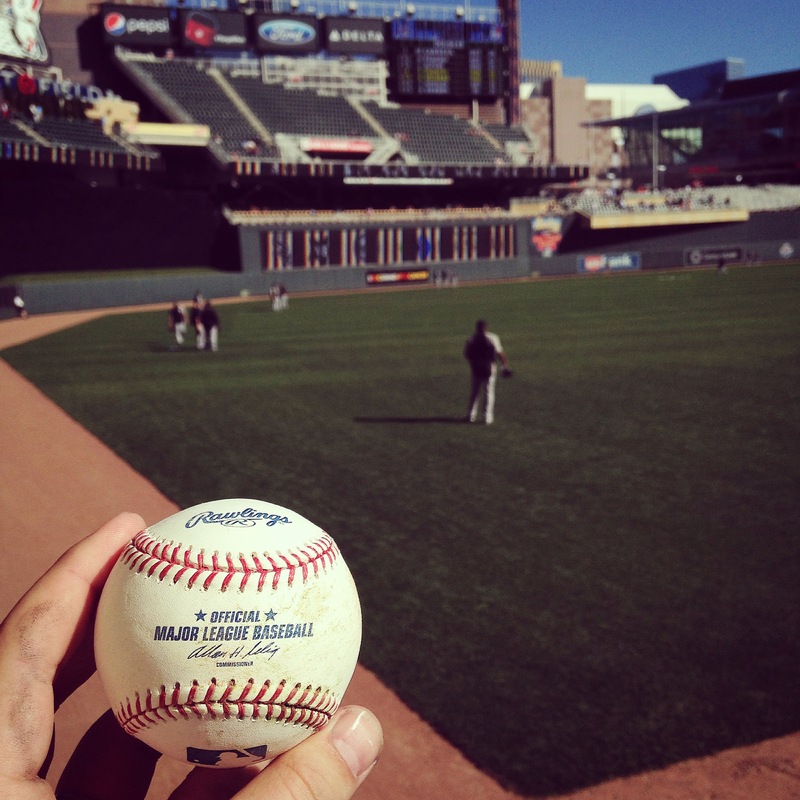 I could not believe that I was attempting ballhawking during a crazy-busy weekend game without a glove. 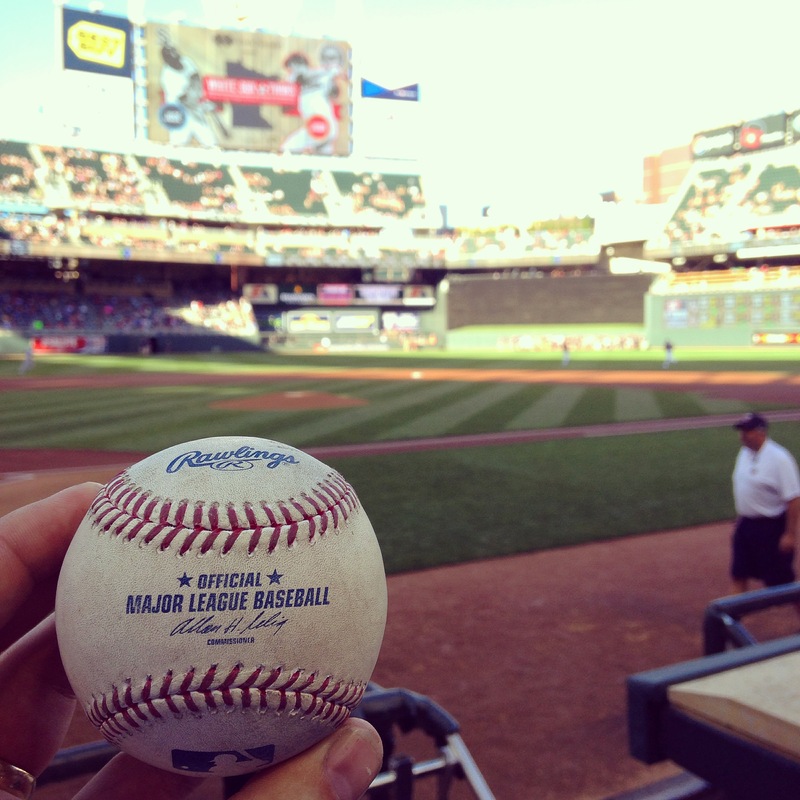 That is the first thing you learn when going after a baseball – whether you consider yourself a full-on ballhawk or a newbie looking to snag that hard-to-get souvenir. As you can tell by the title, though, I succeeded. A hard slice by a Twins hitter within about 2 minutes of opening the gates put me on the board. This gave me great relief. A drive down the line followed by a nice request to the man in the background (this is the only photo – so good luck trying to help me figure him out) landed me a “for sure” duo. Gamer streak lives! A request to Oswaldo Arcia “en español” and I got this beauty of a mud-rubbed gamer. With four balls and no glove, this night was about as good as it could have been. 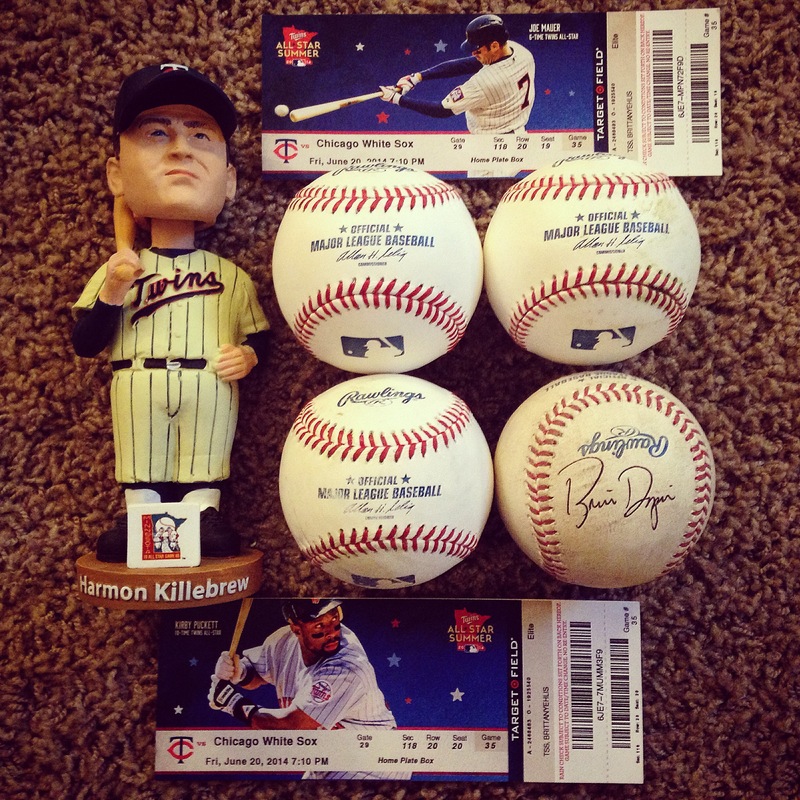 Four balls, 2 tickets, and a Harmon Killebrew bobblehead. Harmon joins the slowly growing family, a family that I did not actively seek, but got lucky enough to assemble over the years. Dominique – Told you, he has a permanent spot here. Random Twin and unknown White Sox member – If I knew your names, I’d list them. But unfortunately I will never know. Oswaldo Arcia – ¡Gracias, hermano! Brian “Mr. 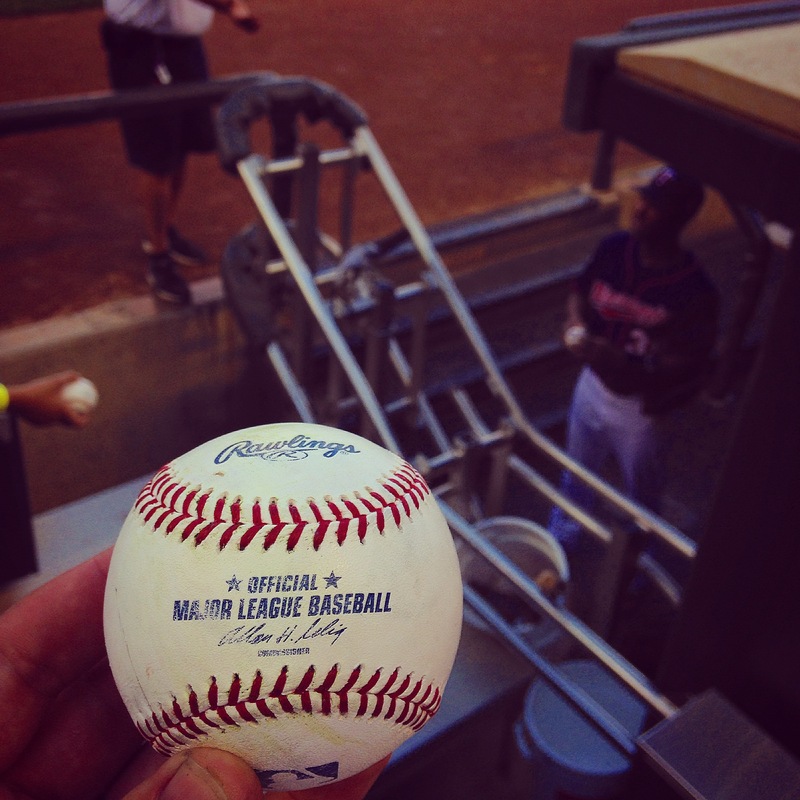 Walk-off” Dozier – Thanks for signing the ball for me! Hopefully we get you into the ASG. 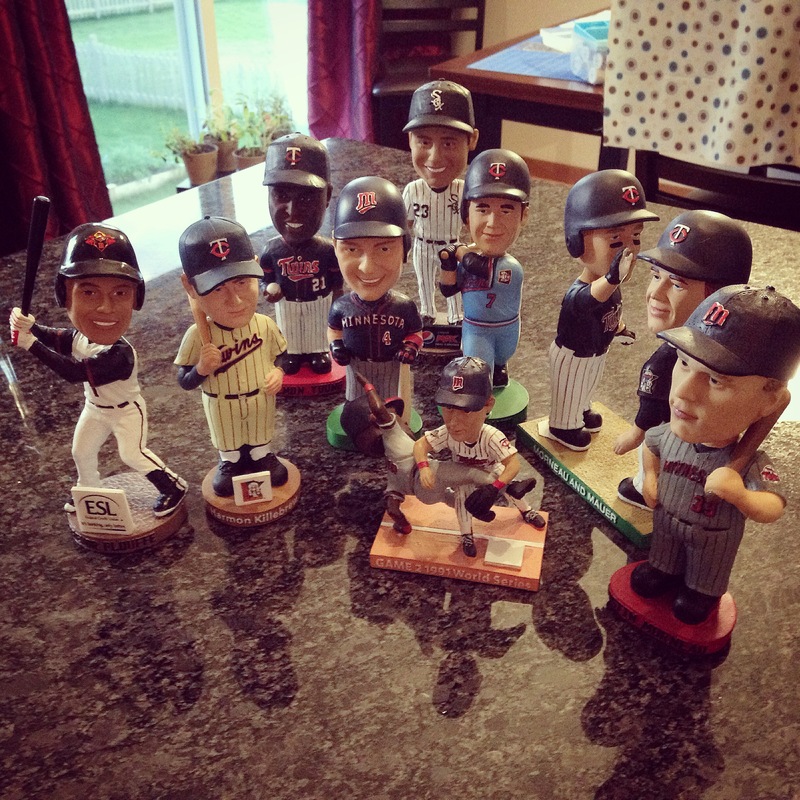 Nice Morneau bobble head. I have the same one in my room. Nice night and keep up the good work!